I landed in Delhi on February 16th morning, meeting up with Indrajit Sengupta of Saving Tiger Society, we spent the night in Delhi, during the day we collected a couple of items from the shops. Next morning, we took an early morning flight to Jabalpur (Madhya Pradesh), it was a 2 hour flight. We then had a four hour car drive to Tala in Bandhavgarh, meeting with the forest department vetinary on the way, discussing with him our schedule and program over the next few days. We were to do a 3 day medical health and blood check-ups for forest staff, also giving most of them medical kits that would last for the next month, the Field Director and vetinary had been very supportive for this help for the ground level staff, the Field Director himself could not be present, as he had an important meeting in Bhopal for four days. The first day of the health check-ups, they consisted of blood pressure checks, blood test if needed, asked all if they had any ailments at the time or recently, they were then given general medicines for these, which is what we provided, they had been transported from Kolkata with a couple of the Saving Tiger Society team. There was 165 staff seen on the first day, 90 percent of them were beat level staff, there was 30 on a training course that were also seen. The main ailments were ear, eye, muscles issues, the doctor and blood person today was from a private hospital in Jabalpur, as the original people had pulled out the night before, this cost us a little more, though we were not going to cancel the program. Early next morning, we had the chance to visit the forest area, we observed chital, sambar and female nilgai. 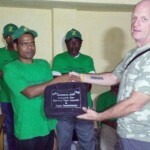 After getting back, we did day two of the health check-up program for forest guards, 65 staff were seen, slower due to the range officers not getting word out to their staff, this program has not been offered to forest staff in the last 3 years, very frustrating that they did not look after their staff better. In my opinion, the range officers need to be changed and be more wildlife orientated and supportive of their beat staff, who live a hard life in the field. After the health check-up program had finished for the day, we had the chance to visit the forest area again, in the couple of hours we were there, we observed two Tiger, a female and Kankati male, he was behind us as went up a hill, we heard later that day, he had been hurt in a fight with another Tiger, this we asked for information over the rest of our stay, we were informed on our last day, that he was well. Next day, the third and final day of the health medical check-ups, there was a total of 100 staff seen today, giving a total of 330 over the 3 days. The ailments were mostly the same over the 3 days, plus a few with high blood pressure and one tested positive with HIV. 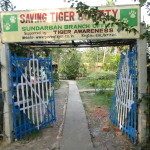 Saving Tiger Society had done well, to keep the program running over the 3 days, with some of the drop outs by local doctors and apathy by some of the field officers. I gave 3 of the Saving Tiger Society team a £60 bonus between them, this was for their hard work and flexibility over this program and many others over the last 4 months, since my last visit. Next morning, we visited the forest, at this time, it was quiet, we observed langur monkeys, chital and a small herd of gaur. Some 30 minutes later, we received a message over the radio, from the mahout on elephant, that we had seen a short time ago, that Tiger had been sighted. We met up with him a short time ago, the mahout, said there was Tigress with her 4 cubs on a kill. We had the chance to see her and get some pictures, which was a great opportunity, the cubs are around 10 months old and one of them was eating Sambar kill, some of the other were resting with mom, as they had full stomachs. We also were informed that 3 Tiger from Bandhavgarh, were to be relocated to Sanjay Dubri Tiger Reserve in the near future, this was our next destination to help and also give health and medical check-ups for forest staff. After we had some breakfast and packed our bags, we made our way by car to Sanjay Dubri Tiger Reserve, it was a two hour drive. Next morning, we visited the forest area near our rest house, on one of the tracks, we observed whilst walking, Tiger pugmarks, we were informed, it was a male and had been seen a couple of hours earlier on the track. There are currently 10 Tiger in Sanjay Dubri, they are looking to get the number up to around 20 over the next couple of years. There are 39 villages inside the forest area, authorities are looking to relocate them as soon as possible, also there are 17,000 cattle inside forest area and when the relocations take place, that will take away a lot of chance of man- animal conflict and give this beautiful forest back to the wildlife, free to roam. Later in the morning, the health and medical check-up for the forest staff started, we were also to give medical kits to 200 plus staff, this was day one of three, in the 7 hours, 172 staff were seen, the ailments were similar to Bandhavgarh, with diarrhoea also prevalent, due to the diet of the staff, limited vegetable are available I was informed. I also noticed few staff had boots or a descent training shoe (Goldstar), many had slip on shoes, flip flops and a couple had pointed shoes, like we would wear for best, though obviously not in the same condition. Next morning, Saving Tiger Society, did health check- ups for a small group of forest staff at the rest house we were staying at, some were mahouts, though 2 were on duty, tracking a Tigress and her 4 cubs in the buffer area ( age 16-18 months old). She was being followed by a male, who was not the father, hence she was moving a lot, to keep conflict away from her cubs with him, as he would more than likely kill them, then want to mate with her. 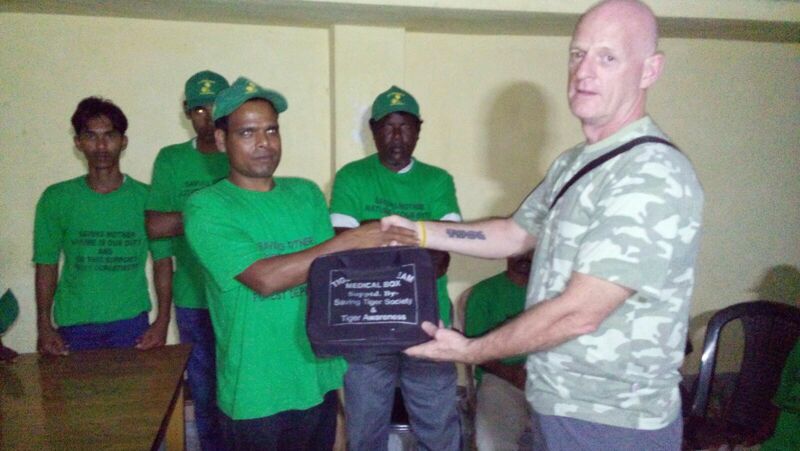 The second day’s medical health check-ups, were to be done at a forest rest house about an hour away. There was 72 staff seen, again with similar ailments as the previous day. After we were taken for a drive around the forest, also seeing the chital rewilding enclosure. We then moved to another rest house for the final day’s program, the forest staff in Sanjay Dubri Tiger Reserve had been very supportive with a vehicle and not charging us for any food and accommodation. The 3rd and final day of health and medical check-ups, there was initially 27 staff seen at our rest house, one of the beat guards, travelled 35kms by bicycle, and then the same distance back to his post.. We then travelled 40 kms, for the final day program for the remaining staff, a further 74 were seen, total staff seen over the 3 days was 345, out of a total 440 total staff for the whole Tiger Reserve. The Field Director arrived mid-afternoon, he thanked us for doing the program and that it was very helpful for his staff, in our conversations with him, he mentioned they were looking to relocate more Tiger here and also around 500 chital deer, so far around 50 had been released into the forest area. He also mentioned that when villages were relocated, they would be looking to turn the areas in grasslands, to encourage more areas for herbivores and also good for Tiger. Later in the afternoon, Saving Tiger members made their way by car to Katni, as they had a late train to Kolkata, this takes about a day and half to get there. We next morning, leave for Seoni,still in Madhya Pradesh, which is approx 550kms and 9 hours by car, we were to take a car to Jabalpur about 6 hours’ drive way, stay overnight, then continue on next morning. Early next morning at 04.30, Indrajit had a phone call from the Saving Tiger Society team, saying that they had missed their train, due to the driver taking the wrong turn at a road work diversion, they tried to catch up with their train at 3 other stations, to no avail. The forest department organised some accommodation and we met up with them at lunchtime and Indrajit manged to book them a new train ticket, early the next morning, which would arrive back in Kolkata on Saturday, just over a day later. On our way, we stopped off at Tala again, to meet up with the WII person and visiting the vetinary at his house in Umaria. We arrived in Jabalpur at 1900 hrs, found a hotel, and then had some food. Next morning, we made our way to Seoni, (3 hours by car) we were to meet with Mr Shukla, (CCF), highest ranking forest officer in the area and we had met him the previous year, very supportive and helpful person, we arrived around lunchtime. After our meeting with Mr Shukla, we visited 3 open wells in farmland, 2 where herbivores, such as Chital and wild boar had fallen into and perished, the other where on January 2nd this year,6 year old male Tiger died from drowning, he tried to get out for a couple of days from information given to us, due to the crops being harvested already, there was little activity in the fields and nobody heard the Tigers call and could not inform the forest department until it was too late, the scratch marks from his claws were a saddening sight, I was aware of this case, hence the reason wanting to visit the area and see as many uncovered wells and look to formulate a plan to help reduce this happening for future. An option is to build a perimeter wall in concrete, wood or large rocks, waist height, about 4 feet from the well to stop this happening, Indrajit will talk with builders, locals and then write a report and budget, we would have to look to prioritise with the funding available. Next morning, we visited more villages in Seoni area, some on the edge of villages, one was 5 metres from the back door of a family, their own family, or cattle, dogs could also fall down them, they were advised to build some kind of perimeter for safety, some of the others like previous days, were on the edge of crop fields. In the afternoon, we visited more wells in Pench Tiger Reserve, taking many pictures. Sunday morning, we visited Khawsa area of Pench Tiger Reserve, ranger we had met last year, wanted to show us some wells that also needed urgent attention, all in same situation as previous days. We also took a picture of one with a dead Rat snake that had drowned in the well. Over the last few days, we had seen over 30 wells, with similar situation, needed attention, we also asked villagers in some cases to take responsibility, as again, we do not have the funding to cover all of those seen and there are hundreds more out there. We met up with Mr Shukla again after, he suggested, to call a meeting of local people, forest staff, planners, authorities and any new wells built, then a perimeter wall to be included in the construction. After our meeting, we made our way by car ( 2 hours) to Nagpur, as we had a flight to Kolkata, we stayed at Indrajits family house that night, caught up with some admin, next morning, we made our way to Sundarbans. We were to visit the school / learning Institute we had built two years ago, also Tiger Squads we had help support for the last six months. On the way, we looked to purchase a couple of projectors, we had promised to help with, one for our school and another in Norforgunj. We could not find one, the only place was 2 hours further drive, the opposite way to our travel direction, we decided that we would look at this some other time, so as not to waste any more time. We had purchased some wildlife dvds that could be shown to the students at the school, we had watched them on the laptop over the last 2 weeks on our travels. We arrived at the school project area 4 hours later, the upgraded work at the school, new roof, walls and more nature art, looked fantastic, there are now 200 students involved in the school in some capacity, be it education, nature, art. 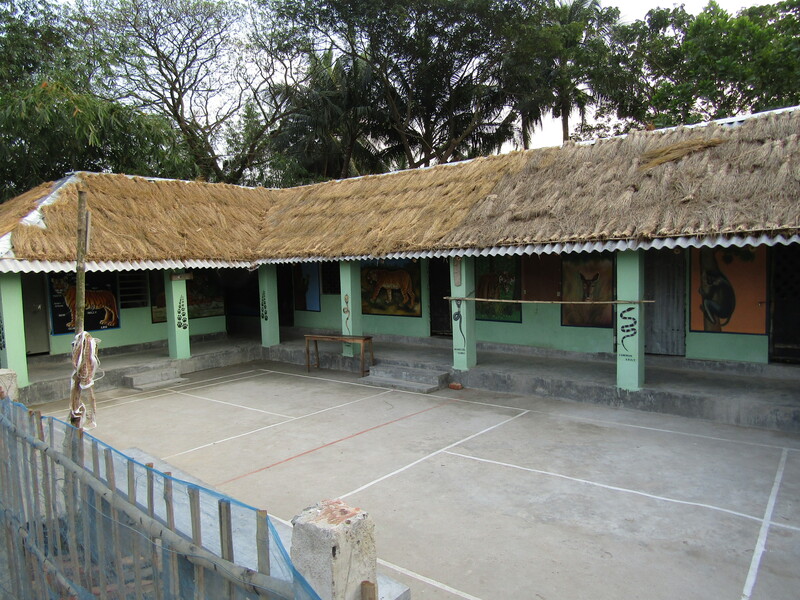 The living area for the staff who use it, had also been upgraded, with a false roof being put in, a concrete floor and new pillars, also new concrete walk ways, instead of brick walk ways, they were very much needed. 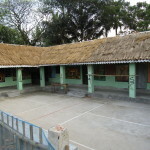 Next morning, we spent around the school / learning institute, interacting with teachers and students. In the afternoon, we made our way to Deulbari by boat, to give a medical health check up to the villagers and meet up with the Tiger squads, we had help support in the area and others, that we would meet over the next few days. 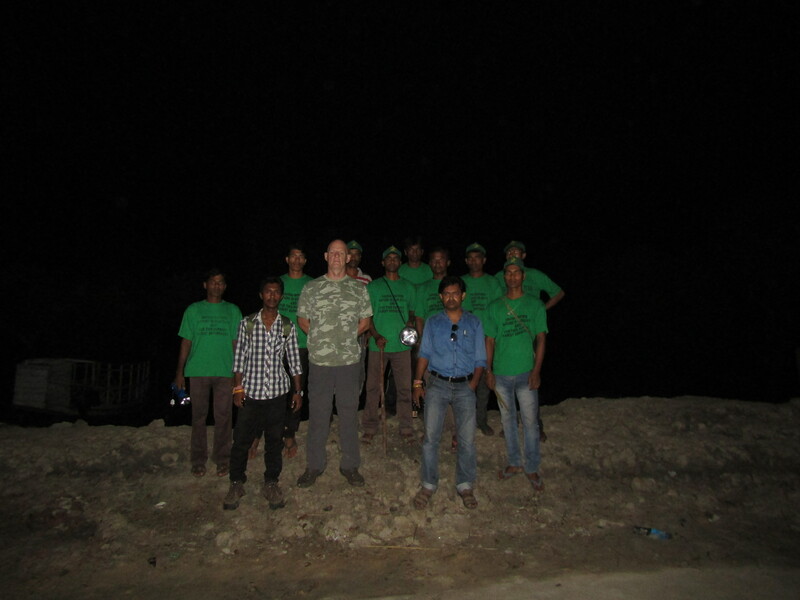 There was 95 villagers seen today, including all members of the Tiger squad, after we took the doctor back by boat to Jhorkhali, about 1.5 hours away we had some food, then made our way back to Deulbari, as we were to go on patrol with the Tiger squad members at night. 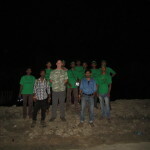 It was 10pm, by the time we met up with the Tiger squad, they patrol at night between September and end of February, this would be their last patrol, mainly so that I could see the area patrolled and also we gave two medical bags per team over the next few days, to help for six months, the patrols would restart again in September, main movement time of Tiger in the 5 areas, covering 21kms, that the teams have been set up. We visited one house were Tiger killed 3 cows end of last year, we gave some compensation, you could see the small gap the Tiger had entered and exited, with the head of one of the cows, Sundarban Tiger are 10 – 15 percent smaller than Bengal Tiger across the rest of the country, the compensation helped the family, as milk from the cows was their main source of income. The team, also suggested we add some solar lamps lights on the boundaries of villages, as this will help reduce encroachment by Tiger, also helping the villagers. And if we could help with alternative way to make a living, such as stitch work for the ladies, as fishing by the ladies in the rivers for shrimps , is dangerous due to crocodiles, Tiger and not good for their health, in their private areas, also at period time attracts crocodiles. They also offered us 2 Bigga of land (3 acres) to build a primary school, as the nearest is over 10 kms away. After the patrol with the Tiger Squad and giving them the medical bags, we stayed out overnight, sleeping on the boat, close to the village. Next morning, we made our way back to Jhorkhali, then to the school project area. In the afternoon, there was a health medical check-up for the students of the learning institute and school, gain, we had supported by funding, there was 70 children seen on this occasion, the doctor said malnutrition was a big factor. 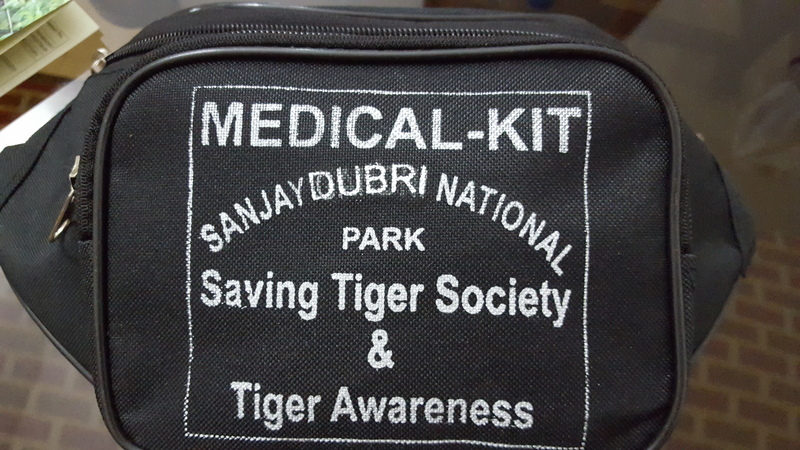 I also spoke with Saving Tiger Society and doctor, that they organise to see the remaining students, a week later, so all are seen, I left behind the funding to cover the program for medicines needed and the doctor. Next morning, we had a meeting with teachers and members of Saving Tiger Society team, they gave us some requests, such as stand fans for classrooms, new blackboards and also space for learning institute, as now space has become tight with both learning institute and new model school together in morning, we have said, we are looking at options, though it will not happen until 2017. In the afternoon, we had been asked to visit a school, 56 children are taught there, in what can only be described as a Thatched hovel, they learn off the dusty floor, teachers are not getting paid for their work. They use a fishing club building behind it, for meetings, which is where they met us. They asked if we could improve the building short term, some tables, benches, new blackboard, they then took us to a piece of land,2 Bigga, to look to build another primary school. After our meeting, we made our way to Gangamela, we went by motorcycle, the brick and muddy roads are narrow and difficult to negotiate, and we were giving a medical health check for villagers, also again meeting the Tiger squad members that we had supported in the area. Whilst the medical check-up was ongoing, the Tiger squad members showed us around the area, they patrol, this time in the day light. They showed us were the Tiger would enter into the village, Tiger had visited eight times in the last six months, though no conflict, which is very positive and show that Tiger squads are working in this area, as in all areas, there has been no conflict, just the cow incident in Deulbari. 80 villagers were seen in this visit for health check-ups, the oldest was 96 years old, after we had a meeting with the Tiger squad members and also gave them 2 medical bags. After, we visited Char no Tiger Squad team, they were on patrol and it was dark by now, when we met up with them, we patrolled for a short time and had a meeting, then made our way back to the school project area. 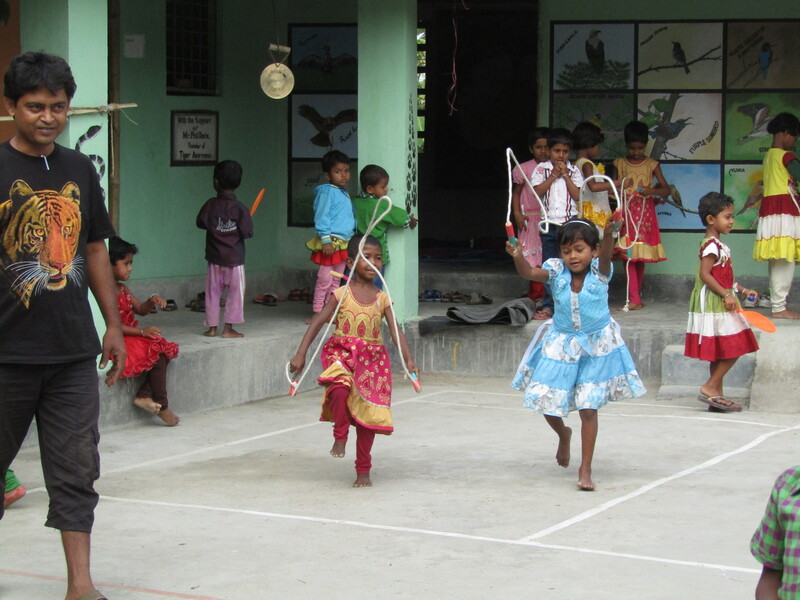 Next morning, we visited some land in Norforgunj, possible to build three classrooms, with a toilet for the learning institute to move to, leaving the new model school at the original building. We then went to visit Nobodoy school, I had visited last year, and we had donated some benches for the children and chairs for the teachers, rather than learn of the floor. They also gave us some further requests, such as a health check-up for the 114 students and teachers, also painting the inside of the building. 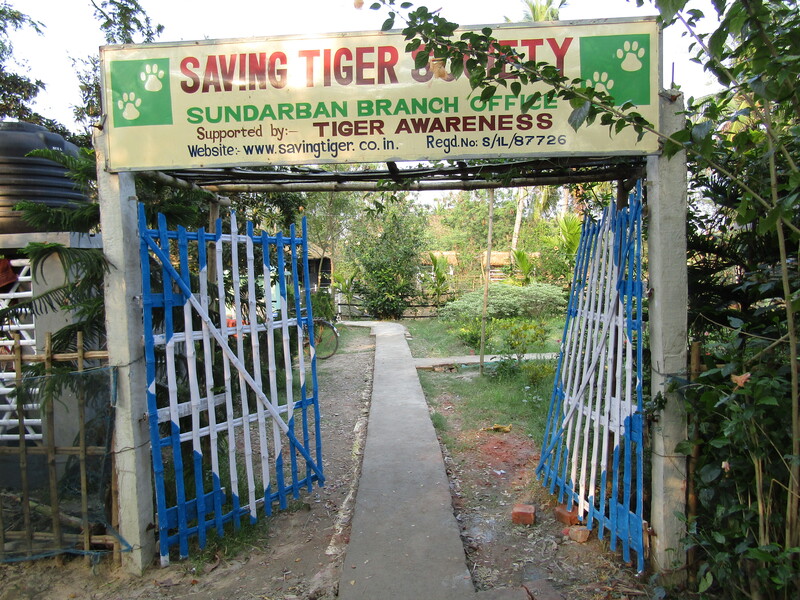 In the afternoon, we did a health check- up in Balikhal, we had also supported the set up a Tiger squad here. There were 94 villagers seen for the medical check-up, the oldest being 81, with some young children seen also. We then had a meeting with the Tiger squad, also giving them 2 medical bags, earlier they had shown us around the area, they patrol at night. Tiger visited in the area 5 times in the last 6 months, also had killed 3 goats, to get to Balikhal, they have to swim from the core area over a 2km wide river, mainly at low tide. 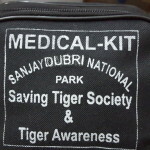 After our meeting, we went to meet up with the Tridipnagar Tiger squad, having a meeting and giving them 2 medical bags. Next morning, we took 62 school students on a nature education visit, to Jhorkhali Nature Park, where there are 3 Tiger, also at the rescue centre there, they have been rescued and are injured and unlikely to be able to return to the wild. One male has an injured eye, the female has leg injury, they were their also last July when I visited, the other male, has front leg injury. Then we made our way to Bonnie camp, by boat a 3 hour journey, the students could walk around, see some birds, wild boar, Flora & Fauna and more of the Sundarbans mangroves form the watch tower., we stopped close to the camp for lunch, then made our way back to Jhorkhali, on the way back, the students boat, drive belt broke, our boat towed them for an hour, until it could be fixed. There was also a nature quiz at this time, to what the students had seen throughout the day and places visited. 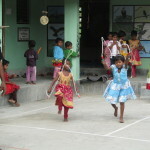 The last morning, the teachers had arranged a cricket match between teachers and Saving Tiger Society team. We won 3-1, in the 6 a side games. We then returned to Kolkata later that afternoon, next morning I had a flight from Kolkata, to Delhi, then 5 hours later onto Heathrow.